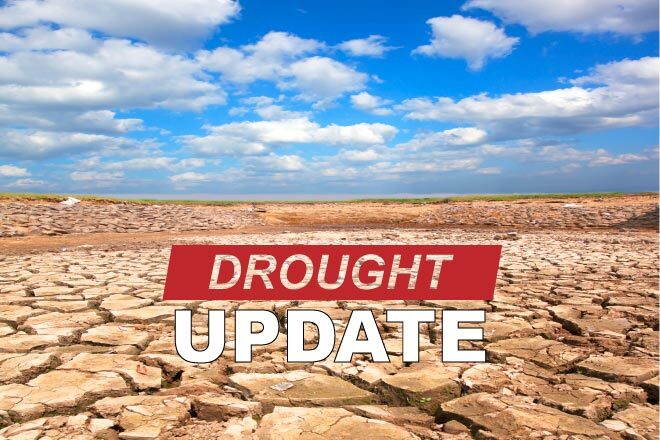 Extreme drought, which had been increasing in northwest Colorado, shifted back to severe conditions in eastern Routt, central Rio Blanco, western Garfield, and northwest Mesa counties. Eastern Mesa and western Delta and Montrose counties also saw improvements as exceptional drought moved to extreme conditions. 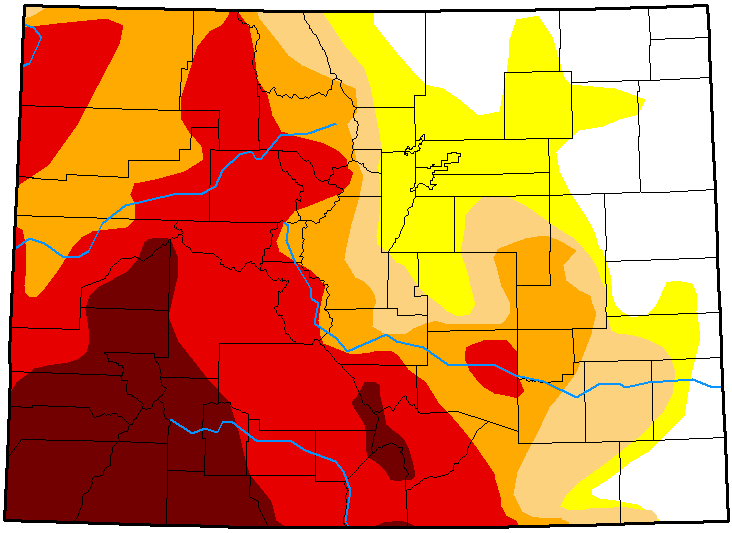 In the southeast, severe drought was replaced with moderate conditions in Prowers, Kiowa, Bent, and Otero counties. Southcentral Cheyenne County moved from moderate to abnormally dry conditions, while the remainder of the county is now drought-free. Most of Baca County is now drought-free as well, with pockets of abnormally dry and moderate drought lingering in the north- and southwest corners. The central part of the state was unchanged from the prior week. Overall, 42 percent of Colorado is in extreme or exceptional drought - the two worst categories - down from 48 percent during the prior week. Seventeen percent of the state is drought-free, up from 14 percent one week earlier, while 13 percent is abnormally dry, down from 14. Moderate drought covers 11 percent of Colorado, up from eight percent, while severe drought is impacting 18 percent of the state, up from 16 percent. Extreme drought dropped four points to 28 percent, while exceptional conditions cover 14 percent, down from 16. 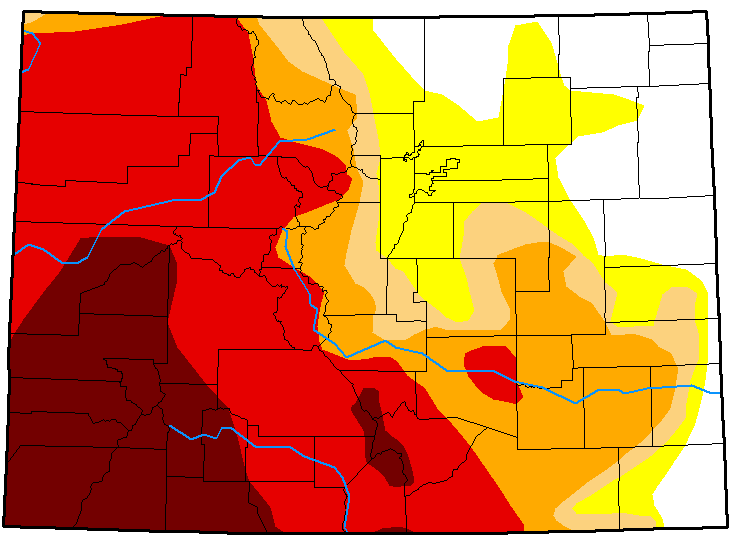 One year ago, 79 percent of Colorado was drought-free, while 20 percent was abnormally dry. Just one percent of the state was in moderate drought. Drought categories include (ranked from least to most severe) abnormally dry, moderate, severe, extreme and exceptional drought.